Application: Plasterboard/drywall screws installation, etc. 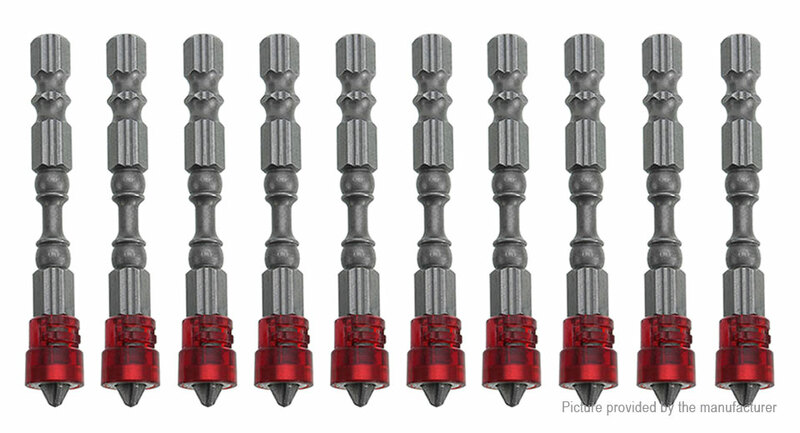 PH2 screwdriver bits for drywall screws. Automatically sets screws to proper depth in drywall. These are designed to be used with any power drill or cordless drill. Includes depth stop to limit screw penetration and damage to board. Suitable for plasterboard screws locating and as drywall dimpler bits, can matching with any power drill and cordless drill for normal usage. Depth stop design can limit screw penetration and damage to board, more useful easy to install the drywall screws, good decoration tools. Depth setting bit tip fffers screw gun feature in a power drill, shock resistant tool steel for maximum durability hardened core for extra strength and reduced breakage. Heat treated to resist breakage and wear, to control depth of screw during driving applications. The Phillips drywall insert bit is designed specifically for use with Phillips drywall screws, with a 1/4" hex shank for use in bit holders.